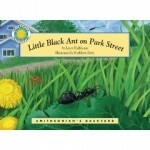 This weekend I'm doing related posts on all three of my blogs, all inspired by a new children's book, Little Black Ant on Park Street by Janet Halfmann and Illustrated by Kathleen Rietz, part of the excellent Smithsonian’s Backyard series. At Wild About Ants, I just posted about the biology of the little black ant. I also posted a review of the book on my Wrapped In Foil Blog. Here at Growing With Science let's explore some hands on activities to reinforce learning about ants. 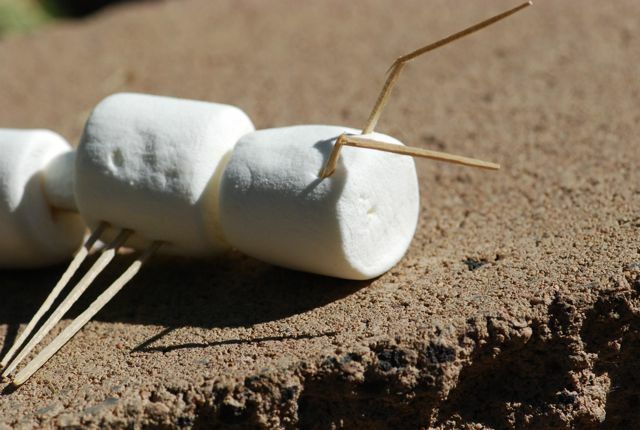 You might want to decide ahead of time whether you are going to expect the children to make an accurate representation of an ant, in which case you'll need to go over the anatomy first, or whether you are going to let them do ant "sculptures." I admit I tend to go for letting the children express their own vision of what an ant looks like (including putting the legs on the metasoma, having eight body parts, etc.). Generally after experimentation and eating many of the trials, your child may reach something like this. The child may even notice that the antennae are bent, like elbows in arms. This example was made by an older child who had studied ants before. Little Black Ant on Park Street talks about the little black ant guarding the door to keep out strangers. This activity allows children to investigate entrance guarding in ants. This activity works best with a group. Pick one or two children to guard the entrance of the ant colony. Give them each a canister with the primary odor, but don't tell them what it is. The guards will smell each ant (child's container) who wants to enter. If the smell of the entering child's container matches that of the guards, then the child is a nest mate and can enter. If the odor doesn't match, then the entering child is an intruder and the guards should block him or her from entering. If you make enough containers several children can take turns being guards, and being let in or excluded. As you can see, there are a lot of fun projects to do with ants. I would love to hear about how your projects turn out or if you have some fun science experiments with ants. This book was provided by the publisher. I had already purchased others in the Smithsonian's Backyard series. You might also want to try observing ants and a growing list of more ant books for kids at Science Books for Kids. I have to say the book inspired a lot of fun around our house this weekend. Hope it does yours, too. What a fun activity. 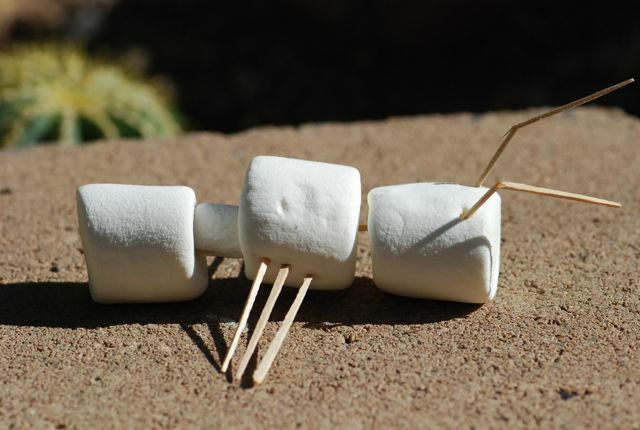 I'm heading right out to buy some marshmallows and toothpicks! One friend e-mailed me with other suggestions for materials, like black olives or jelly beans (I'm not sure how easy it is to toothpick in those, but it might be worth a try). Any other ideas?